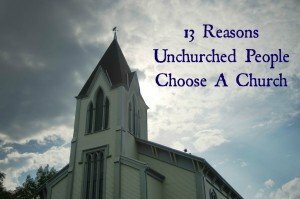 He has surveyed those who have become churched within the last two years. 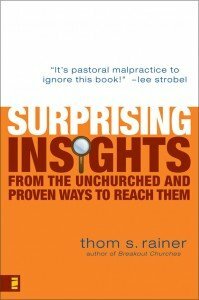 This was a particular niche of study, asking questions of those who made that transition in effective evangelistic churches. Your persistent Ad Choices banner ad obliterates #5-10 of the list of 13. Nothing I can do to make it go away.